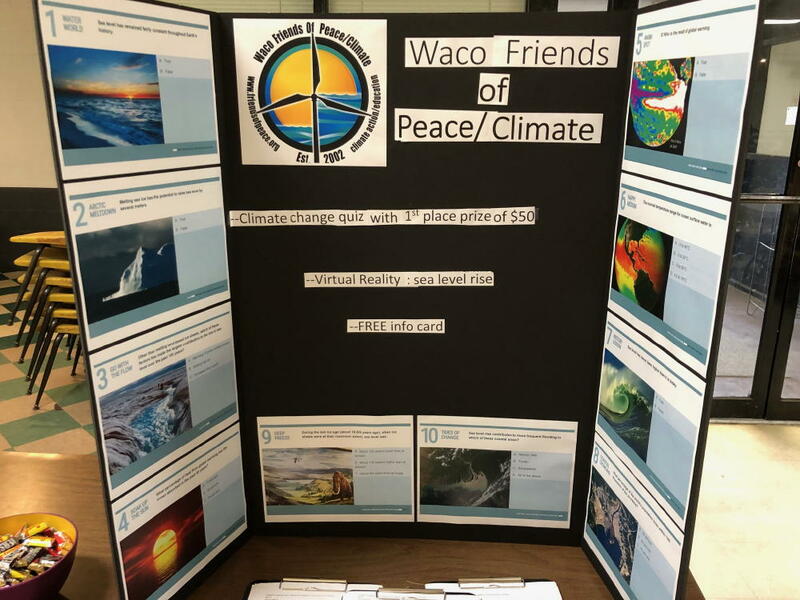 Waco Friends of Peace/Climate was honored to participate in the Cesar Chavez Event, 3/30/2019, with a table containing a climate science quiz, a sea level rise VR (virtual reality) experience, and our new business card-size information cards. Multiple visitors took the quiz, and the data card was well received. The card lists 15 key things individuals can do to combat climate change, a description of our organization, and reference sites. 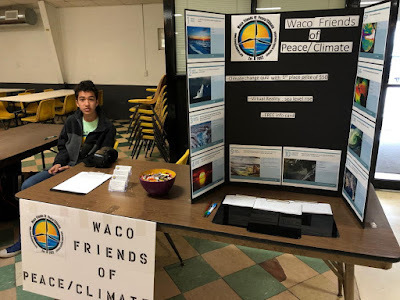 Quiz results & $50 winner to follow. 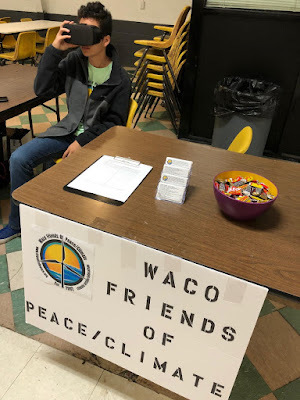 Thanks to Adrian Northcutt for helping man the table, Jose Abel Raymundo for organizing the event, and all the individuals and groups who maintained tables, performed, provided food, displayed low riders and exhibited art. 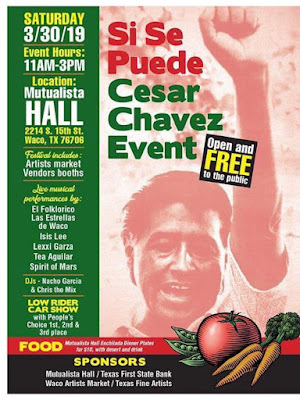 We celebrate the life of Cesar Chavez, a leader of the environmental justice movement of that time.